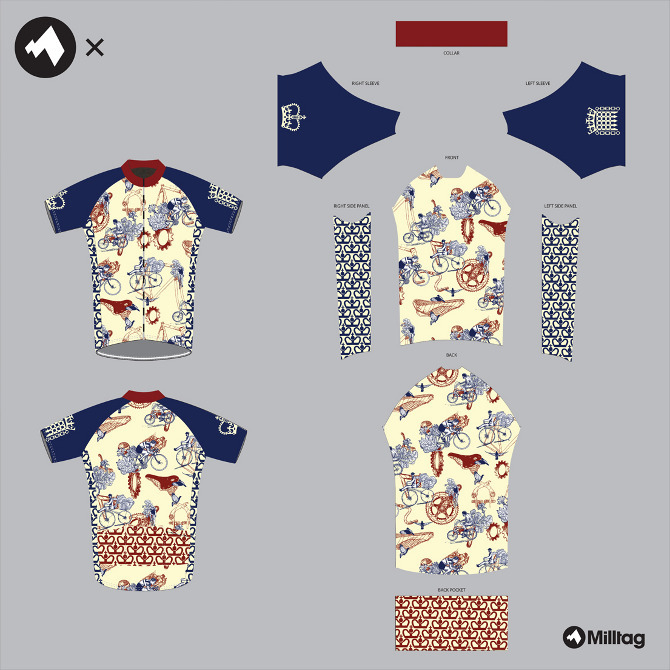 My jersey for Milltag symbolizes the history, diversity and development that he sees when cycling in London. The front and back of the jersey are made up from two separate patterns layered upon each other. The foremost pattern shows the history of cyclists in London through the ages. 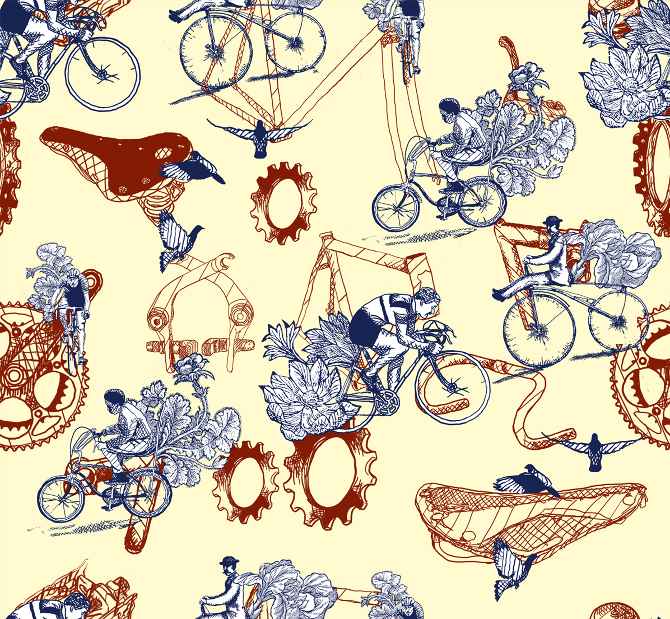 In this pattern the viewer can find Afro-Caribbean 70s kids riding their beloved choppers, Victorian gents awkwardly riding early bicycles and a speeding modern-day cyclist. I have also referenced London’s importance in the Victorian arts and crafts movement by adding William Morris style flowers. 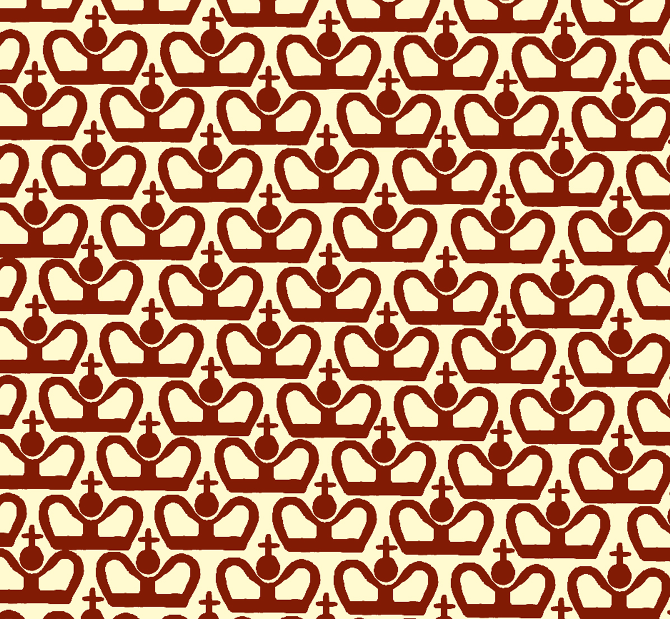 The second pattern shows the development of British bicycle parts. Leather saddles, drop down handle bars, cogs and cranks. The sleeves depict England’s royal and political presence with a crown referencing the monarchy and portcullis for parliament. The side panels and back pocket are covered in a simple crown motif again nodding to London’s heritage and history.